Across all four generations of Exeter City supporter, the Uzzell family has collected matchday programmes, and this includes some of the most significant points in the club's history. From the tour of South America in 1914 to the recent encounters with Liverpool F.C. at St James Park, the collection reveals the change and continuity of football programmes over more that 100 years. This collection is especially valuable by virtue of its breadth - the fact that it includes examples from many football clubs, is a testament to the family's passion for the sport. 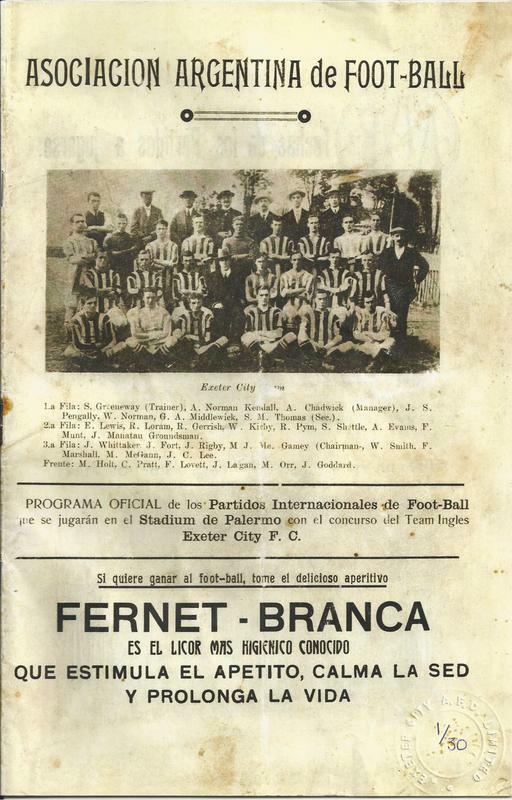 Below is the cover of an extremely rare programme, produced by the 'Associacion Argentina de Foot-Ball', that provides a tangible reminder of Exeter City Football Club's early contribution to the global football stage. Due to a number of factors, including the club's recent shock victory against Portsmouth, they were chosen to represent the English Football Association on a tour of Argentina in 1914. This tour was later extended north of the border to include three matches in Rio Di Janeiro, on of which was famously the first game ever to be played by now five times world champions, Brazil. While the tour became famous in the context of the global game, this particular item is of particular importance to the history of Argentinian football, as inside it details ECFC's 1-0 defeat to Argentine Norte, which was the first ever win for an Argentinian team against a professional team from abroad. Additionally, the programme is an excellent example of the best printing technology of the day. While the product looks dated to the modern eye, the clear photographs and type were the best of the day, showing how important this match, and the previos win was to the Argentine FA. The Uzzell Collection's number of programmes do not only feature matches played by Exeter City, but also some other nationally, and internationally, significant examples. 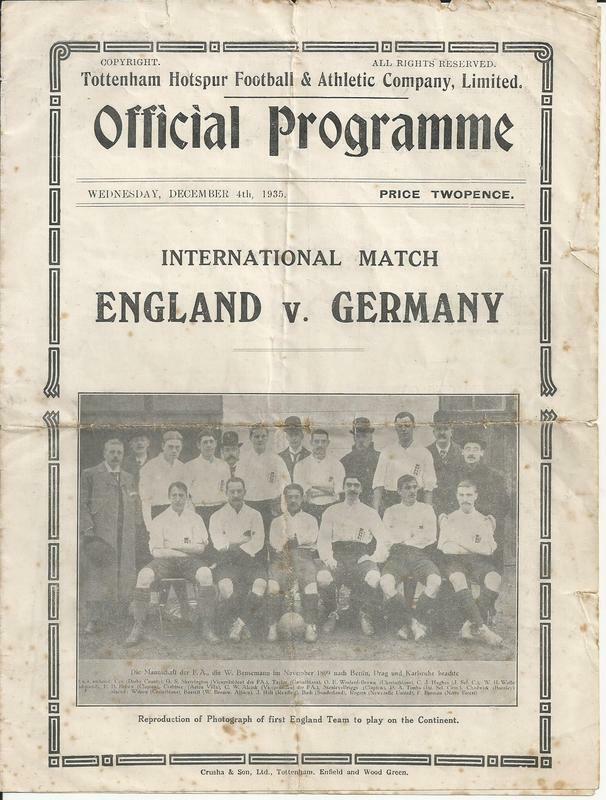 This programme, shown to the left, is dated December 1935, and details the inter-war friendly played between England and Germany at Tottenham Hotspurs, White Hart Lane. The match came at a time when tensions were rising between the two nations due to Adolf Hitler renaging on the Versaille Treaty with the re-armament of the German Army, and the formation of the Luftwaffe. The programme notes that this situation had led to calls for the match to be postponed, but it was the hope of the FA to seperate sport from politics, and to hold an organised and entertaining entertainment without the need for a militaristic display. As an item, this programme can tell us part of the contextual story of international relations between the World Wars, as well as material factors such as programme pricing, photographic reproduction, and the availability of international sporting memorabilia. 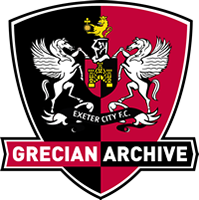 However, as with all collectable items, the programme also has a unique personal heritage value, and was a much treasured part of Edgar's collection due simply to the fact that former Exeter City player, Cliff 'the boy' Bastin. played and scored in England's 3-0 win. According to Phil Uzzell, Edgar followed Bastin's glittering career with Arsenal and England with much pride... Something that Devon (and others) will hope to do in our time with players like Matt Grimes. 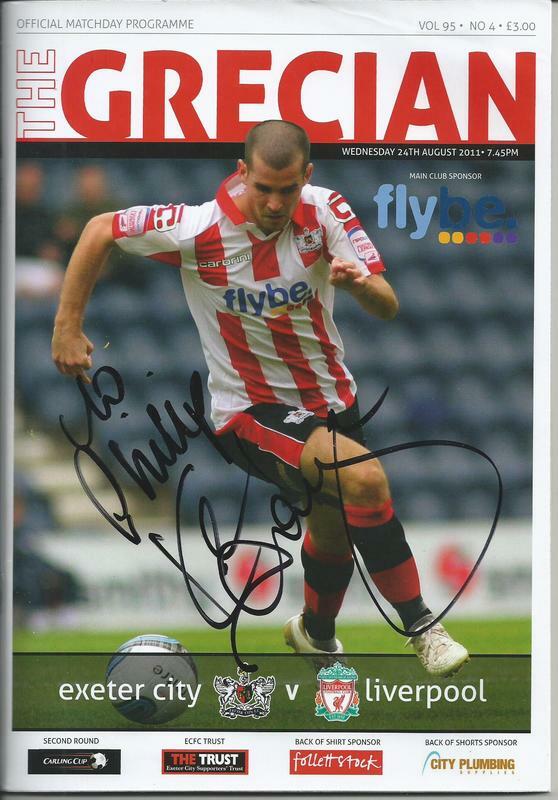 An avid collector of football programmes, Phil Uzzell often sends programmes to be signed by the teams he watched play. 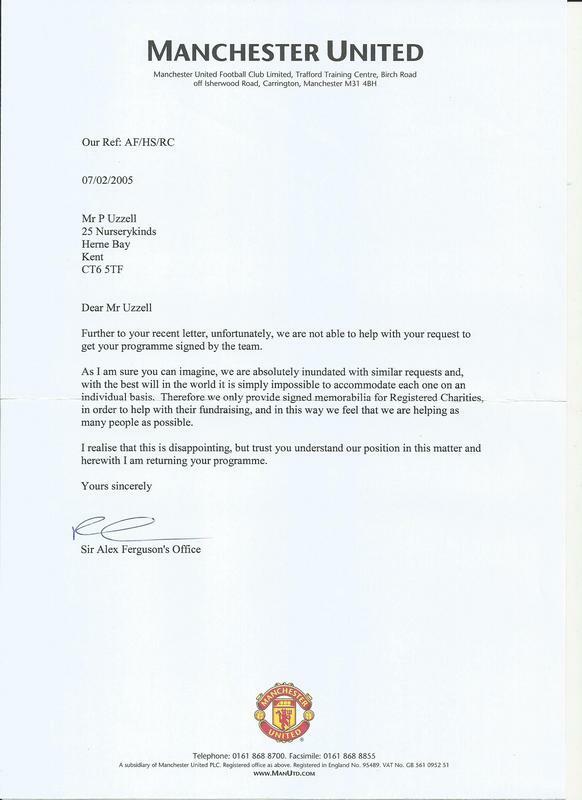 After sending this programme to Manchester United, however, he received a rather curt formal letter back with digital signatures printed on it. Phil kept it just the same. When compared to the other programmes, it reveals a great deal about the differing attitudes of British football clubs. 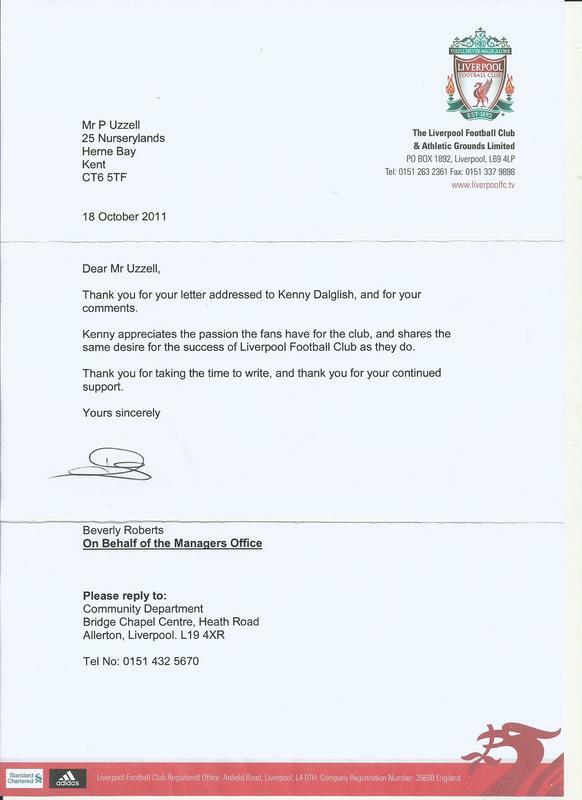 On the other side of the coin, this signed Liverpool programme from 2011 (as seen above) is accompanied by a letter of thanks from the team's Managers Office (see left). As it is sometimes felt that professional football players are more removed from the public these days, this human approach shows that personal culture of football, and the importance of fans to football clubs still remains.